Art classes encourage creativity. Children are allowed to dabble in colours right from the Nursery Class. 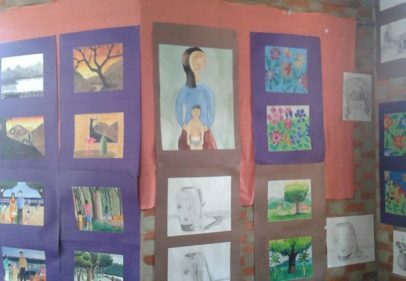 At the 10+2 level children may offer Fine Arts as a Board Exam subject. An annual exhibition showcases the childrens’ masterpieces. Many of the alumini have gone on to pursue Professional Art courses.